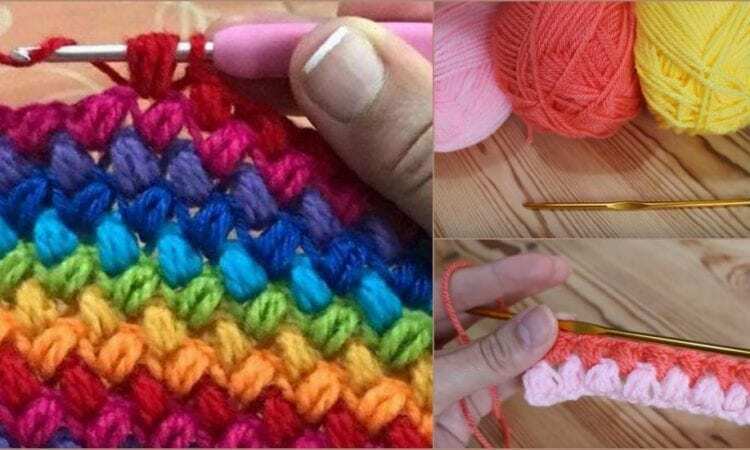 Why is it called the bean stitch? Probably because it fundamentally sort of resembles a bean… a reclining one. It’s a cousin of the puff stitch, however, it’s not worked up quite the same. As above, it leans to one side. When worked in columns, it makes a rotating crisscross. I have decided on looping the rows in this cowl, turns or switches. It all simply all inclines one way, making it look like the rows slant. Fun, isn’t? For more free designs every day follow us on Facebook. Links to the free pattern and video tutorials are below. That was a great tutorial. So easy to follow. Thank you so much for your time. I’m always looking for new stitches & I love the way this one looks. I have never crochet ,I learned knitting. You give me hope that I can learn to crochet! Very easy to see very clear instructions, you are gifted. Thank you soooo much!. Can’t wait to try. I can’t access this pattern. I ha ve Samsung7. How can I see pattern?